Jakarta, Indonesia (December 18, 2017) – FLIXCinema is a new chain of Indonesian movie theatres, designed to appeal to all audiences by offering a range of facilities aimed at different budgets. The Platinum Hall at the company’s first venue delivers the highest quality experience, which is why an Alcons CRMSC pro-ribbon audio system was chosen for it. “The Platinum Hall only seats 24 people, but they are willing to pay a premium price for the best movie experience and I felt they deserved nothing but the best available reference sound quality,” he says. 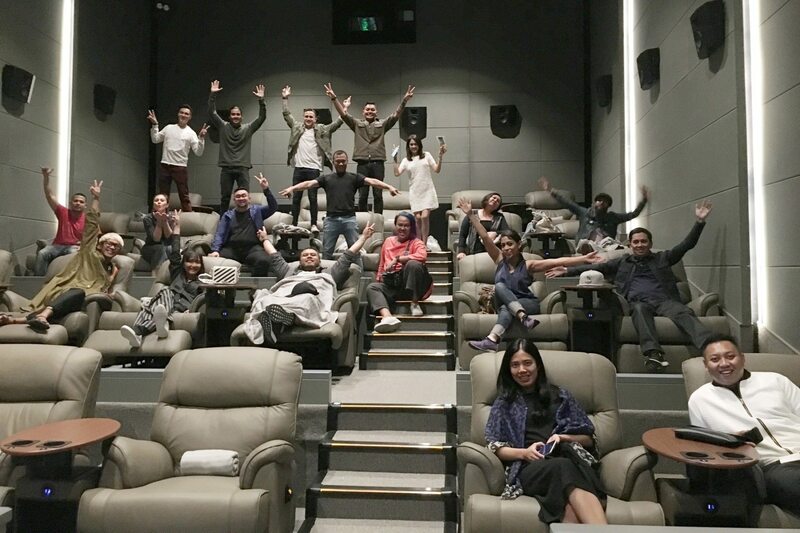 “At FLIXCinema, we believe that the ultimate movie experience is all about the best picture and sound – the rest, such as 3D or moving chairs, are just gimmicks,” confirms David Hilman, Chief Operating Officer at Agung Sedayu Retail Indonesia (ASRI). “I was able to demonstrate to FLIXCinema that the CRMSC system offered the best solution and I was very glad they agreed, because it meant we could deliver the first Alcons Audio system to be installed in Indonesian cinemas,” says KC. For a premium-priced experience, the equipment has to be the very best, a fact recognised by Yudho Rahutomo, Cinema Technology Manager at FLIXCinema. “They are excellent speakers! Great dynamics, clean and clear, very crisp highs with no distortion. The sub-bass is also very full and impactful. The system was expensive, but worth having in our cinema,” he says. “As a result of the Alcons CRMSC system, our customers have given us a very high satisfaction movie experience rating,” concludes David Hilman.